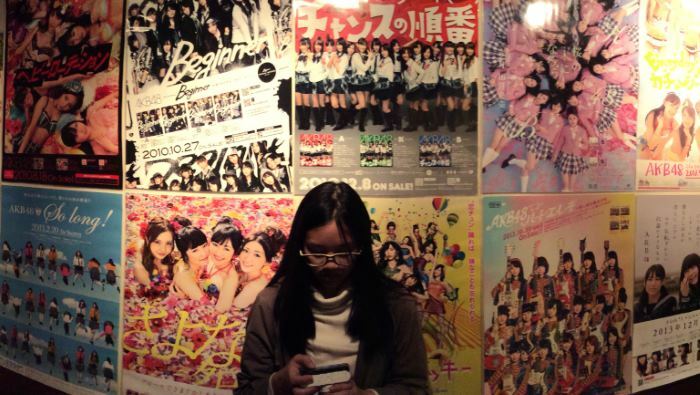 Is Time Running Out for Japan's Idol Culture? Regular readers will know we've been closely following the case of Yamaguchi Maho, a member of Japanese idol group NGT48, who was assaulted in her apartment by two "fans." Rather than work with police and prosecutors to ensure her attackers saw justice, AKS, the company that manages NGT48, forced Yamaguchi to apologize on stage for "causing a commotion." A Japanese idol management company comes under fire after ignoring an attempted sexual assault on one of its stars - and then punishing her for speaking out. AKS's attempts to respond to and contain the fallout from this incident have been laughable. Management initially pinned the blame for Yamaguchi's apology on stage manager Imamura Etsuro (今村いまむら悦朗えつろう). Rather than fire him, however, they simply transferred him within the company...until he and another staff member posted a pic of themselves to Twitter essentially mocking Yamaguchi's version of events, leading to his immediate firing. Then, there was last week's press conference, which was, by unanimous public consent, a dumpster fire. AKS Chairman Matsumura Takumi (松村匠) was set to announce the results of an independent third-party investigation into the attack on Yamaguchi and the agency's subsequent handling of the aftermath. Now, you'd think the smart move here would have been to meet with Yamaguchi after the report came out, work with her and the rest of the members on a plan to address what happened, and hold some sort of joint press conference. Instead, Matsumura and Co., over the course of a brutal three hours, used the report as an excuse to deny that anyone besides the employees already reassigned or fired had done anything wrong, and to deny Yamaguchi's claim that another NGT48 member was responsible for leaking her personal info to her attackers. Yamaguchi - the victim - was neither presented nor invited. Yamaguchi's tweets during the presser have received close to 150,000 likes apiece and been re-tweeted up to 6,000 times, with the vast majority of fans and observers expressing support. But it wasn't just fans who were on Yamaguchi's side. Writing for Toyo Keizai, TV producer Murakami Kazuhiko noted that TV news talk programs and even sports magazines - which typically function like an official organ of idol groups - were unanimous in their disdain for AKS. Murakami isn't surprised by the backlash: idol management, he says, have been throwing their weight around with the media for years, using their leverage to squash negative stories and to manipulate the narrative surrounding their stars to their liking. In other words, many in the media have been waiting for a moment like this to give the idol companies a taste of their own medicine. Their CDs are still million-sellers, but I doubt any of them ring a bell with ordinary people. For example, I wonder how many people could name the title of a single AKB song. The number of commercials in which a single idol features - you could see one person representing over 10 companies in 2012 - has fallen drastically. You can count the number of commercials starring a current member of AKB on one hand. Additionally, AKB48 cancelled its Sembatsu General Election event for the year - a televised affair that, Murakami says, has been struggling to hold on to double-digit viewership. All this leads Murakami to conclude that "the honeymoon between AKB groups and the press is over." Beyond the waning popularity of idol groups, and the need for the press to thump back idol management companies after years of abuse, I think there are other factors at play here. Obviously, the rising consciousness in Japan regarding women's issues - reflected in the questioning of kawaii culture, and movements such as the #KuToo campaign - is a major factor. An industry that consists of a small number of men overworking young women for their own profit simply doesn't hold up well to feminist scrutiny. I think another factor, too, is the growing awareness in Japan regarding workplace harassment. High-profile harassment cases, and cases of karoshi (過労死かろうし; death by overwork), are forcing Japan to take a harder look at issues of work-life balance and quality of life, and are making people more sensitive to the way that businesses abuse their power over individuals. The Yamaguchi Maho case is certainly a case of sexism and discrimination. But it's also a case of corporate abuse - of a business putting its reputation and profits above the health and safety of its employees. Even if people can't relate to the life of an idol, they can certainly relate to Yamaguchi Maho as someone who was pressured to take the fall for the mistakes of her superiors. Idol culture won't disappear overnight, if ever. But as times change, it's becoming increasingly likely that it will cease to enjoy the privileged perch it once held in the world of Japanese entertainment. It rakes in trillions for Japan, but is kawaii culture forcing Japanese women into a no-win situation? A model deploys a clever play on words to make the case against compulsory heels. Learn why her campaign is resonating with Japanese women. Is anime "The New Orientalism"? A Twitter controversy over a virtual YouTuber has Japanese women questioning how the media depicts them both at home and abroad. The retirement of Amuro Namie has given us proof that, no matter how "polite" your culture is, the press are pretty much a-holes everywhere.